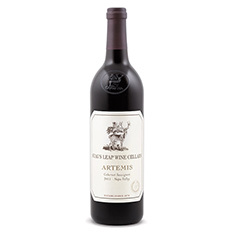 The Artemis Cabernet, named for the Greek goddess of the hunt, comprises specially selected fruit from Stag's Leap Winery's vineyards across Napa. Massively flavourful and impeccably structured, it's built for the long haul. Let it rest in the cellar for up to a decade, or enjoy it tonight, decanted, with fillet steaks or game.